Are you looking for ASUS VivoBook 14 X420UA driver? Then here are Asus X420UA-CBI5A drivers for Windows 10 64 Bit you can download and install to get your laptop work properly. 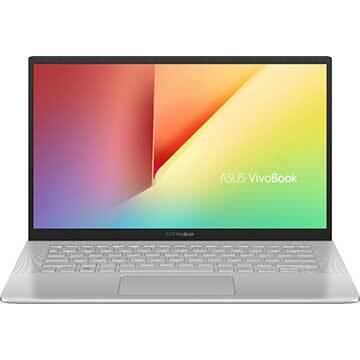 ASUS VivoBook 14 X420UA is 14 inch laptop powered by 8th Generation 1.60 GHzIntel Core i5-8250U quad-core mobile processor with integrated Intel UHD Graphics 620 video card. This Asus X420UA notebook PC comes with 8 GB LPDDR3 2133MHz SDRAM system memory and 128GB SATA 3.0 M.2 SSD solid state drive to store your files, musics, videos, and other documents. This mobile computer features 14 inches Full HD (1920x1080) screen display, fast 128GB SATA 3.0 M.2 SSD for storage, multi-format card reader (SD/MMC) slot, HD web camera, 802.11 ac (2x2) Wi-Fi, Bluetooth 4.2Type-C USB 3.0 port, HDMI port, 2 W stereo speakers with digital array microphone, and 2-cell 38 Wh polymer battery.